A new appellate court opinion confirms what Ron and Sherry Palmer at Fix Family Courts have been teaching parents and attorneys about child custody legal rights and how to win child custody when the two parents are in disagreement, that best interest of the child does not entitle the judge to be a super parent, and that the constitution does apply to the family courts even when two parents are in disagreement! This appellate court agrees that parents have constitutional rights in family court, and that this trial court violated the parent’s 14th Amendment and 1st Amendment rights! This is groundbreaking! Read this before you agree to any parenting plan or court order. The parents in this case, Paul E v. Courtney F, have an equal parenting plan. This means that they have shared custody and equal parenting time. This shared parenting or joint custody however does not mean that all of their decision-making rights are equal. Father has sole decision-making in some areas. This part was not challenged in the appeal and so was not addressed. This is an extremely contentious issue and a major reason for our work. Trial courts believe that because their state statute says that they can choose one parent over the other and make them unequal parents with nothing more than a request from the parents and a judge’s best interest determination that they are authorized to do so. We disagree. The focus of this appeal however was whether the court was allowed to micro-manage the parental decision-making of the fit parents. How the rights were divided and whether one parent’s rights were made superior to the other parent was not argued or reviewed in this case. We have had attorneys argue with us and lose. Attorneys denying that you have constitutional rights just took another huge hit. On April 3, 2018 the Arizona appellate court unanimously declared that the parents have constitutional rights, that their constitutional rights were violated, that the Fourteenth Amendment requires that the only way the court can apply their idea of best interest of the child regarding their decision-making is if the parent was found to be unfit, and that their statutes cannot be read in isolation of the constitution. Most importantly, that their statutes are “not an invitation for the court to interfere with constitutional rights.” In other words, the court is not entitled to violate legal rights of parents in separation just because it believes it can make better decisions. That comes from Troxel too. This opinion defines fit as providing adequate care for the child and not posing a danger to the child. This Arizona appellate court took the definitions straight out of Troxel. Imagine that too. The attorneys telling you that Troxel does not apply to cases with two parents in disagreement are wrong again. Does this mean that this case is your silver bullet? No. Why not? Because this court still says that the court may still “decide which fit parent or parents shall make such decisions.” Many parents will think that they are done with needing more education on their constitutional rights, they will try to walk in to their court and put this case in front of their judge and say that they get equal parenting time and want their equal parenting plan signed, and they won’t understand how the judge might still deny them, or how the judge might say that this case does nothing to prove to them that you are entitled to equal parenting time. Look closer at the case and see if you can figure out why not. Here is a hint, this appellate decision says that the trial court “. . . must find its support in the supporting statutory framework.” Do you know what is missing here? They go on to say that “. . . they cannot advance such interests by exercising jurisdiction that they lack.” Do you know how to use these to argue your constitutional rights? If not, become a member of our site for the answer. Where this case is strong in proving that the constitution does apply to your family court and that best interest does not allow them to micromanage your parenting decisions, this case does not prevent the court from still punishing you and holding your decisions against you. 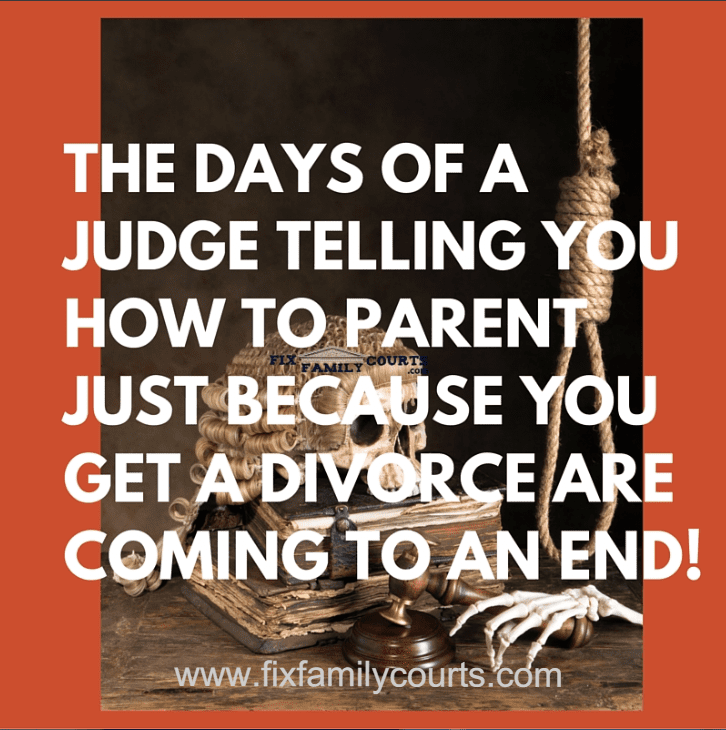 This appellate court ruling does not prevent the trial court from taking parenting time away from the mother for making decisions that it doesn’t like, and giving more of that time to the father. In fact, the case does say that the court has the statutory right to determine which parent exercises the legal rights. Do not despair, however, this does not mean that if you make the right arguments that the appellate court won’t come your way on it. It just means that they did not do the de novo analysis on that issue because that issue was not argued. If you look you will see that the appellate decision says that the sole decision-making authority was not an issue that was argued. If you do not know what parental alienation is go to this article. *Membership is not free. It is less than a dollar a day, there are no contracts, and you can be a member as long as you want or cancel any time. If you are in such financial difficulty that you cannot afford even $20 a month, which by the way helps to pay to keep the lights on while we continue developing more tools for you to fight back as well as write and publish more books. You get access to the books before the general public does when you are a member and get to read the books online. You will have the books and information and videos at your fingertips from anywhere that has an internet connection at any time. **We teach about preventing and ending court-inducted parental alienation. ***We are not attorneys, not a substitute for attorneys, and do not practice law. Please get the help of an attorney before you applying something you learn to your case to find out the legal technical requirements, consequences, and other nuances in the law that you might not know. PreviousIs Parental Alienation Junk Science or Real? NextWhat are the legal rights of separated parents in Kentucky? 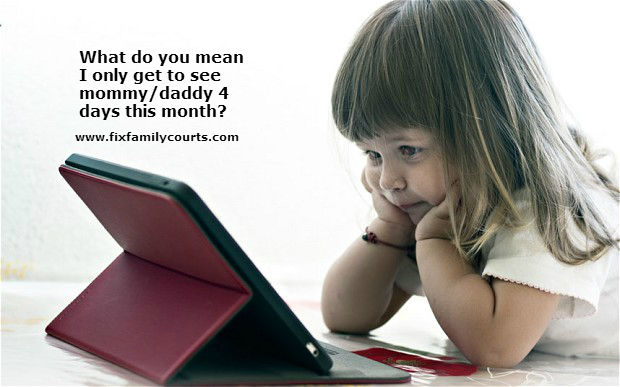 How can You Challenge the Judge in Family Court?